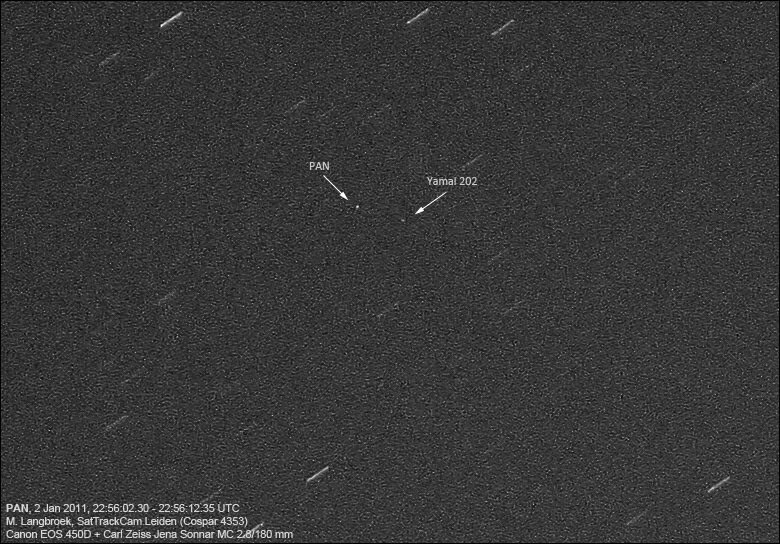 As I discovered on December 8th 2010 (see here), PAN had started to drift away from it's old position at 38.0 E on 2010 December 1st (see here). 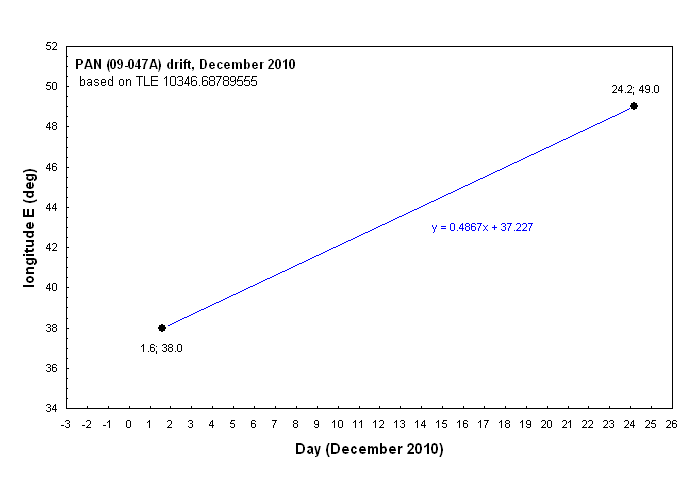 Greg Roberts in South Africa and me in the Netherlands followed it drifting eastwards at a rate of about 0.5 degrees/day over mid-December 2010. I dropped out of the chase after December 14th, when a long period of wintery weather with snow started in the Netherlands. On December 27th, Greg failed to recover it at the position projected by the drift rate and surmissed it had stopped drifting. He confirmed this on December 29th, when he found it in position 49.0 E. It has stayed in that stable position since. 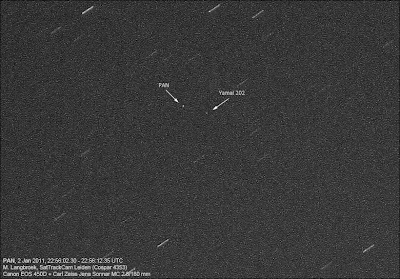 I am happy the drift has stopped, as PAN otherwise would have slowly drifted out of my reach. In it's new position, it is lower and more to the northeast in the sky for me: actually it is now quite low at an altitude of only 17.9 degrees (just above tree-top and roof-top level for my locality), 5 degrees lower in altitude and 11.3 degrees more eastward in azimuth than it was in November 2010. 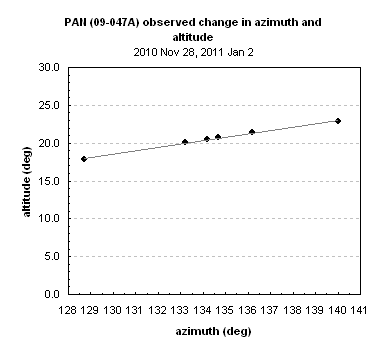 Below diagram shows the change in azimuth and altitude between late November 2010 (right) and now (left). OT - A Space related Patch?